Traveling around the world for most of the last 5 years, we have met so many travelers that get super exited when they hear I am from South Africa. People often say it is their favorite country. There are many reasons, the exceptional nature, incredible food, amazing animals and many share stories about the hospitality of the people. There is one more big one; our wines. Wine tourism at the tip of Africa has many things making it unique. An enormous diversity in soil type, topography and climatic conditions result in unique, complex and distinctive wines. The wines can be fruity, but also reveal earthy flavors. Our warm climate results in high alcohol wines, with the cool ocean breeze helping wines to retain the bright acidity keeping things fresh. South Africa has a ‘Wines of Origin’ system with vintage, grape variety and region being displayed on the label. 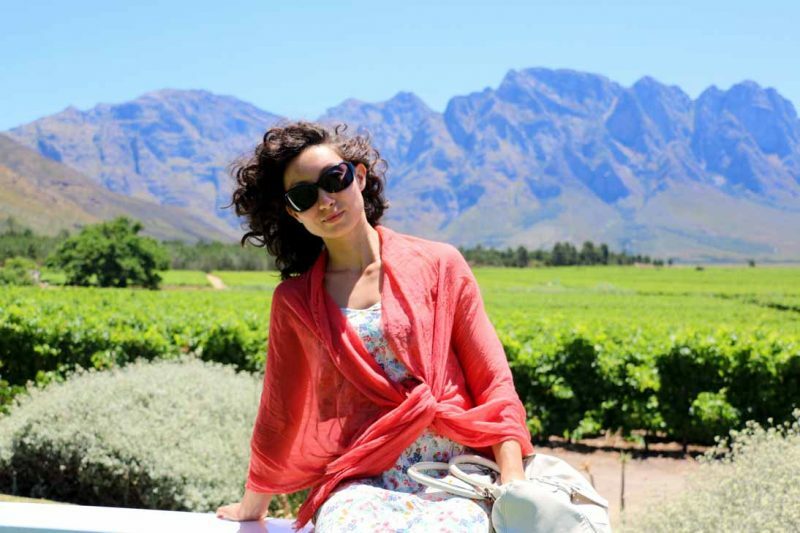 The Stellenbosch wine route is the most popular area for wine tourism. This is however not all we’ve got. You can explore 17 official registered wine routes and 26 unique ‘wine of origin’ production areas in South Africa. 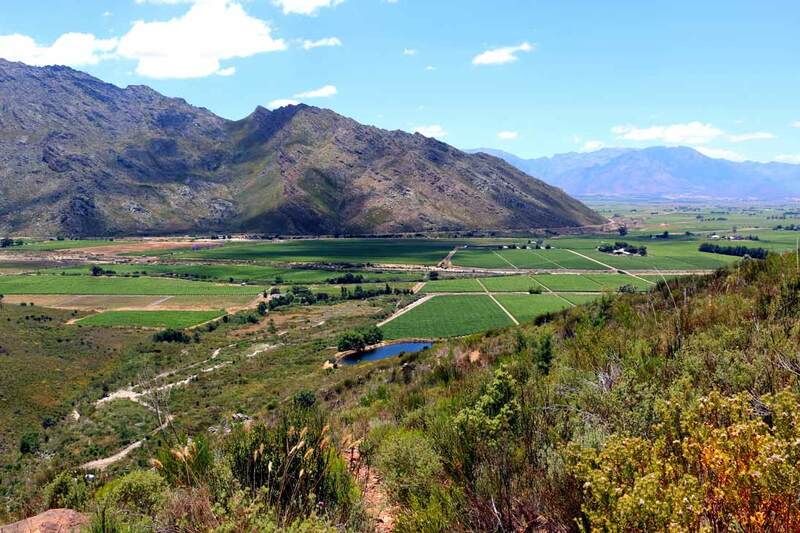 A view of wine farms in the Breedekloof area taken during a hike in the Du Toitskloof mountains. We recently tasted our way around one of the “off the beaten track” wine areas for international tourists, The Breedekloof Wine Route. Located in the beautiful Du Toitskloof and Slanghoek mountains, this ‘wine of origin’ district is only 1 hour’s drive from Cape Town. We visited some beautiful wine farms producing great wines in the area. 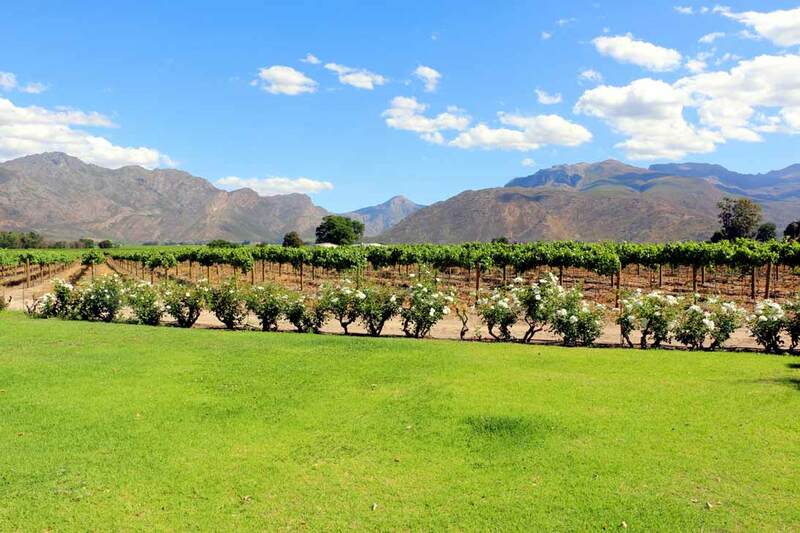 They all boasted quality whites and reds made from a variety of cultivars including Sauvignon Blanc, Chardonnay, Chenin Blanc, Cabernet Sauvignon, Shiraz, Merlot and Pinotage. No tourist buses with big groups. Many other attractions, restaurants, accommodation, campsites, hiking trails, horse trails, mountain bike trails, rafting, fly fishing and more. For us the day turned out to be mostly about the Chenins. We loved tasting the interesting Chenin Blanc wines in the area. Fruity, sometimes spicy, full bodied, unique wines. The slow ripening of the vines, geography, climate and varied geology contribute to establishing a great area for producing Chenin Blanc. 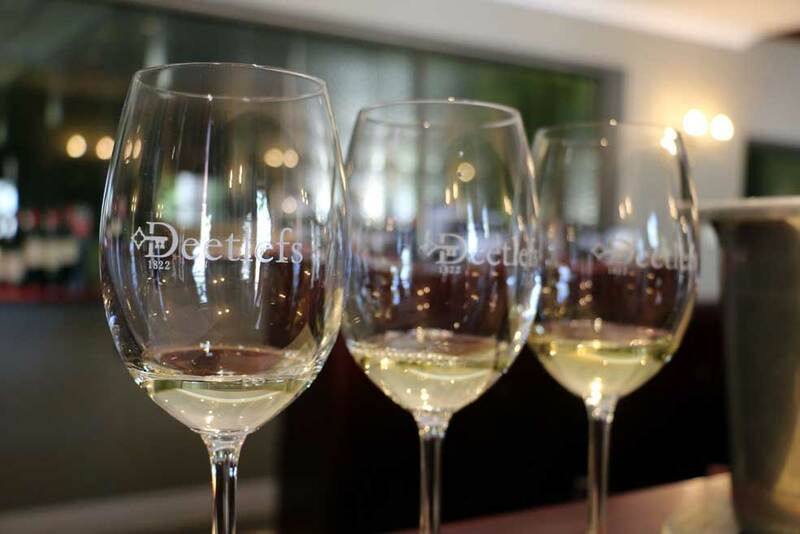 Comparing three different styles of Chenin Blanc at Deetlefs wine estate. The Breedekloof Chenin initiative was started aiming to push Chenin Blanc in to the spot light. Participating wineries are expected to do something different, aiming to expess Chenin’s different personalities. Some innovative things are being done; the use of older blocks, playing with wild ferments, giving skin contact, lees work and more. 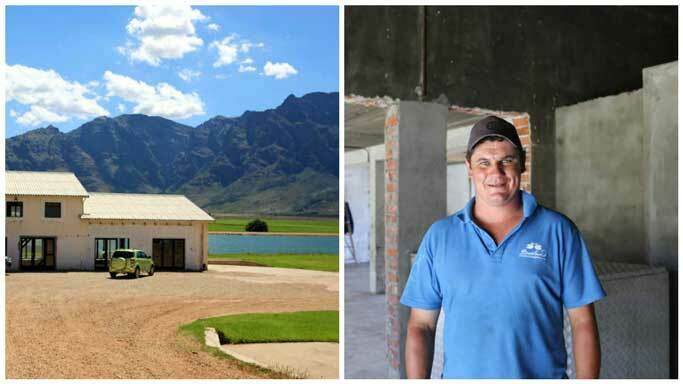 Winemaker at Breeland, Wickus, giving us a real ‘plaas proe’ at the new tasting venue they are building. We tasted some nice wines at the beautiful Slanghoek Estate. Jasons Hill is maybe the most picturesque cellar on the wine route. Top quality wines made by ‘klein Ivy’ a legendary wine maker in the area. Don’t miss this one! We left very happy with bottles of Shiraz and Chenin. Jasons Hill Bistro is a well known upper class restaurant with magnificent views, Nice place to enjoy a picnic or cheese platter with sand pits, swings and rolled out lawns for children to play. TASTING $1.40 (R20), free if you buy wine. We tasted some excellent wines at the picturisque Jason’s Hill. There is also a high quality restaurant at the venue. We tasted some nice wines at Badsberg cellar and were very impressed with their 2016 Pinotage, we bought a bottle to take home. While writing this entry I realized this great wine cleaned up at the 2016 SA Young Wine Show! 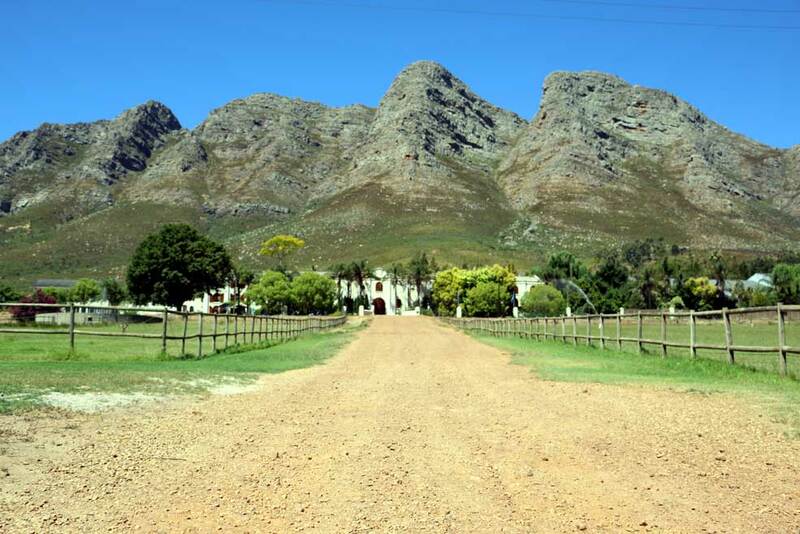 The beautiful Deetlefs farm with it’s impressive ranges of award winning wines is located just outside Rawsonville. Kobus Deetlefs is the seventh generation owner and has continued to carry on the family traditions and approach of wine making. Driving in to Deetlef’s wine estate. They have a large, professional run tasting room, but they keep a nice personal touch. Kobus himself was in the tasting room and showed us their new brain wave. Black and white labels on wine bottles that you can color yourself, for great original gifts. We tasted a variety of Chenins made in different styles, each was well explained to us during the tasting. In their ‘ritmes range’ they had some unique blends I have never tasted before, a Shiraz Pinotage blend and a Chenin Blanc Colombar blend! 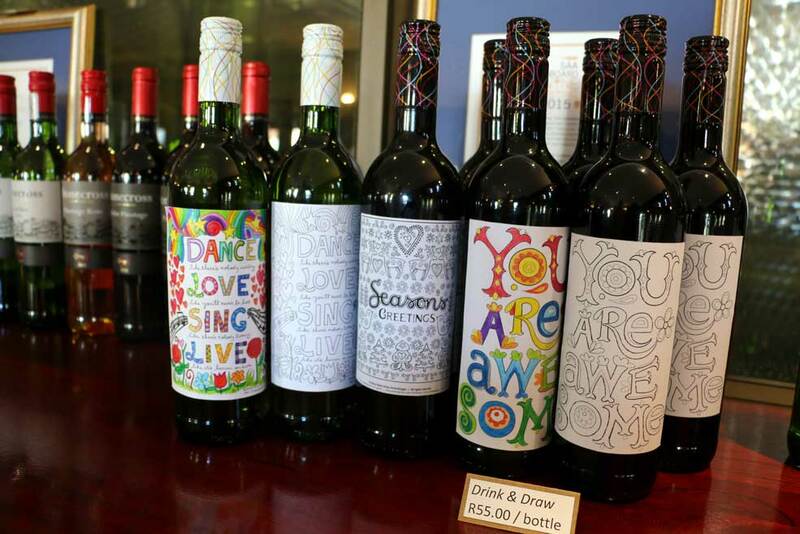 The Deetlefs range of wines with self-color labels, a very original gift! Goudini wines is an cooperative cellar, receiving grapes from 18 surrounding farms. They produce and market an extensive range including red, white, rosé and sparkling wines. I enjoyed the 2015 Shiraz, which is good value for money and I can see why they have won several good value awards. Goudini wines can now be purchased under several labels in European stores. The view from the Bistro and tasting room at the beautiful Goudini cellar. The Gevonden Hanepoot sold at Goudini is a very interesting desert wine. It is produced from the oldest still producing Hanepoot Vines in South Africa on the farm Gevonden. It is now bottled as a numbered collector’s item. Gevonden was bought by my great grandfather 5 generations ago in 1829 and is today being farmed by my cousin Janus. 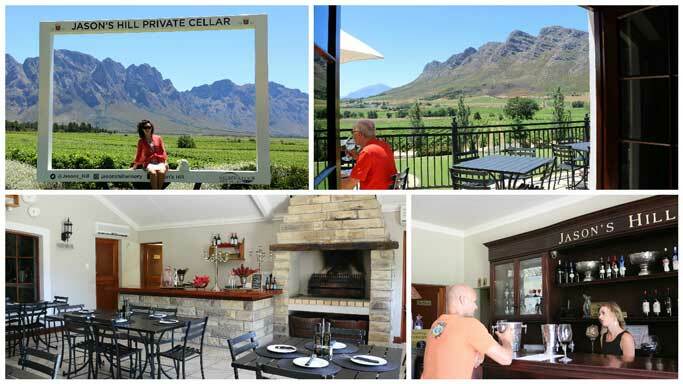 The tasting room is at a beautiful venue in the vineyard with spectacular views of the Sneeukop mountain. On most days either one of my uncles Neels or Duffy will tell you about the Goudini wines in the tasting room. The Goudini Bistro at the venue offers good simple meals and a great cup of coffee. Du Toitskloof is another very well known co-op cellar on this wine route, producing wines from 22 affiliated farms. 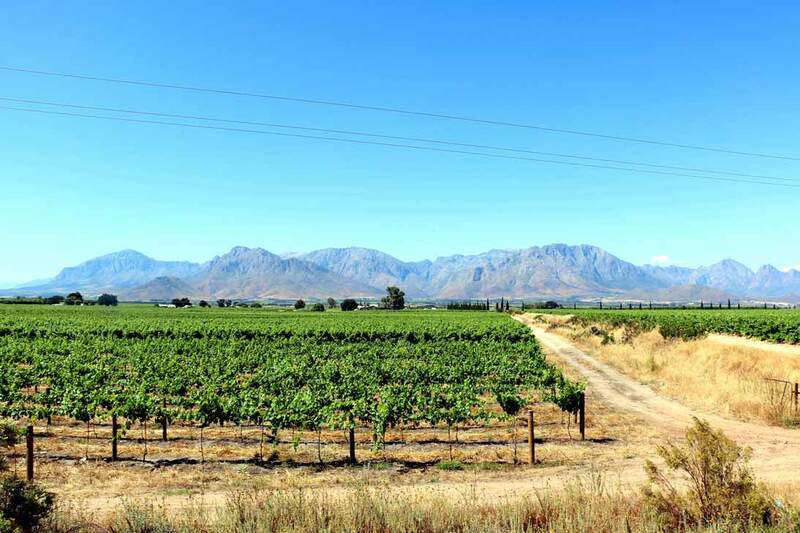 It is a prominent South African producer of a range of white and red cultivar and blended wines. Like many other farms on the route, a very good value for money shiraz and excellent fruity chennin blanc is offered by the cellar most years. There is a very nice tasting room offering free tastings. Melissa’s Coffee shop is located next to the tasting room making a great pizza, breakfast or cup of coffee. We often go there with our dog and there is a lot of space for the kids to play. From Cape Town, take the N1, drive past Paarl, through the Huguenot Tunnel. Turn right to Rawsonville on the R101. The scenic route is over the Du Toitskloof Pass instead of through the Huguenot Tunnel. Nice weather (hot) in summer, November to March. Harvest season from late February until April. Very rainy from May to late August. 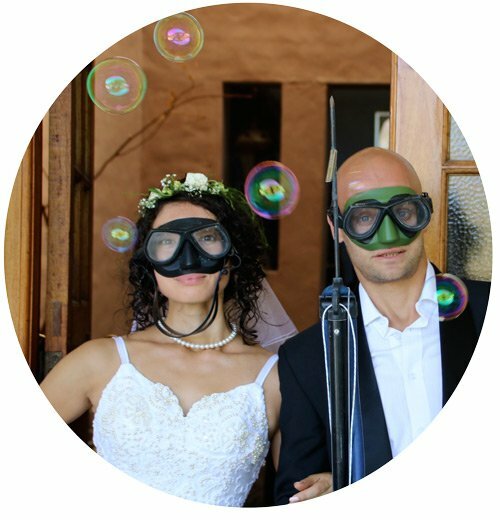 Goudini Spa, the Brandvlei Dam for fishing and kiteboarding, the beautiful Bainskloof Pass, several one day hikes, mountain bike trails, camp sites, rivers for trout fishing. If you want to know what to do in Worcester, driving this wine route is an excellent option. There are many nice accommodation options, guest houses, B&Bs, self-catering options and camping facilities are all on offer. Want to stay in one of the most beautiful wine farms between mountains and vineyards, go and stay in Raba’s spectacular house that has been featured in Garden and Home magazine! New to AirBnB use our voucher and get R600 credit! Goudini Bistro at Goudini Cellars offers good simple meals and a great cup of coffee. Melissa’s The Food Shop at Du Toitskloof Cellar serves breakfast, lunch and early suppers alongside a selection of freshly baked cakes and artisan coffee which is served all day. Jason’s Hill Restaurant offers a relaxed and intimate setting where guests can enjoy a selection of elegant meals. The big annual event on the route is the Soetes (sweet wines) & Soup festival in July. Soetes en Sop – Different soups are prepared by all participating farms. Drive between farms tasting everything from chocolate to chicken soups. Delicious soup and wine pairings, live acts and more. Always a great party!